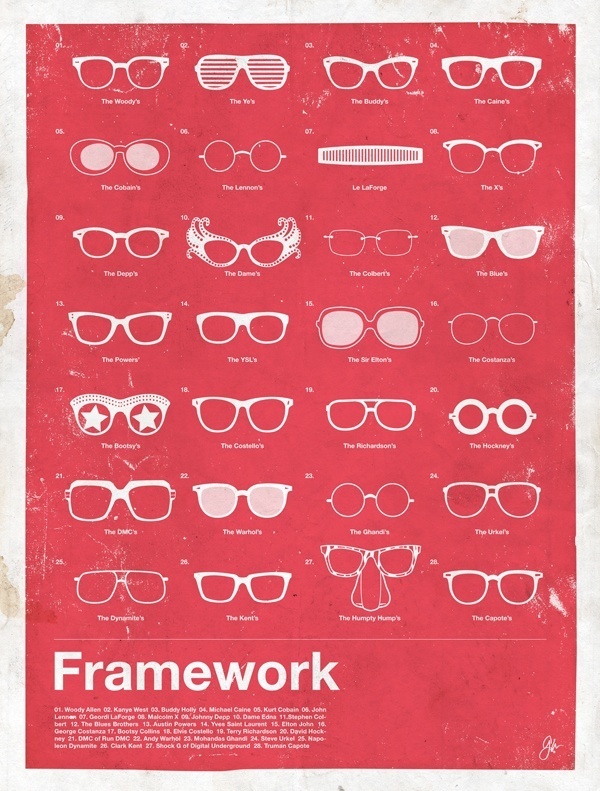 Check out this Framework poster, part of a new series by EveryGuyed. It is a compilation of the most iconic styles of mens glasses over the past 100 years. There are some pretty dope styles on the list of 28. I guess Dog the Bounty Hunter’s MP3 Oakleys didn’t make the cut. You can check out more mens eyewear at FrameGeek.